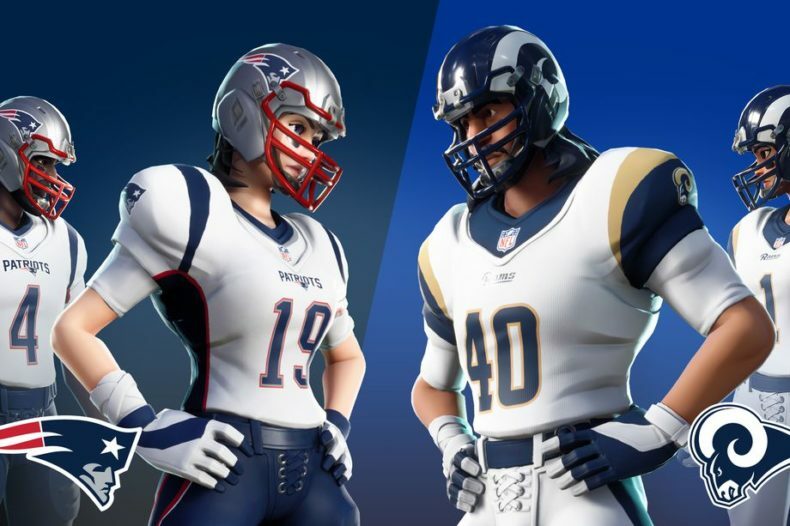 Last year Epic Games celebrated the Super Bowl with special NFL team uniform skins. Do they plan to do the same this year? You called it….the skins are back. When are they available? Starting February 1 at 7 PM, Fortnite players can once again purchase the outfit of their favorite team and wear it around. The two teams that will be in the Big Game this Sunday (Rams and Patriots) will get brand-new white variants for their uniforms. Like the previous offering, though, these skins will only be available for a limited time. Epic hasn’t said how long, but it will at least be through Super Bowl Sunday. In more immediate news, Epic has applied Patch 7.30 to Fortnite. This patch continues the “snowman” theme by adding Chiller Grenades, smiling snowballs that will knock opponents back and cause them to slide as if on ice. You may want to wait a bit before applying this patch, though — some users are reporting issues with it. Epic plans to introduce some fixes over the next few hours. In the meantime, the full patch notes are below.